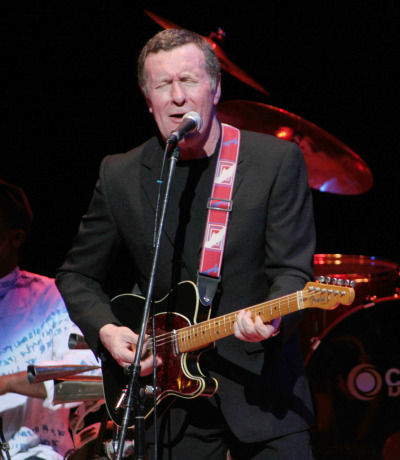 Probably best known for his work as the original lead singer/guitarist with The Average White Band, Hamish Stuart has had an illustrious career as both songwriter and performer. He has worked with the likes of Diana Ross, George Benson and Chaka Khan (for whom he wrote the No. 1 chart hit ‘Whatcha Gonna Do For Me’) culminating in six years with the Paul McCartney Band. Although still guesting in other people’s projects, since ’94 he has also led his own group, which is a supergroup in every sense of the word. He continues to be highly active on the scene, working not only with his own band but making guest appearances with the likes of Ringo Starr and Bill Wyman and was seen at the Club in 2016 with the band "360", featuring his old AWB sparring partners Molly Duncan and Steve Ferrone. For many years Hamish played monthly here at the Club and his performance at our 30th Anniversary at Lots Road Festival earlier this year was a highlight of the celebration for many. Tonight Hamish will be appearing with his extended band that not only features regulars Jim Watson-keyboards, Adam Phillips-guitar, Steve Pearce-bass and Ian Thomas-drums but also includes the addition of Hamish's amazing horn section of Patrick Hayes-trombone, Tom Walsh-trumpet and Special Guest: Molly Duncan-sax. Hamish is very much musical “family” to us here and this gig is always a little “special”. A musical treat!